We are the people who make the world work. And we've been at the heart of modern life for over 160 years, pushing boundaries, driving progress and delivering excellence. There are around 22,000 of us, all over the globe, working together to create the future.  Smiths spans the planet with operations in more than 50 countries. Our products and services reach around 200 countries and territories. So when our customers need support - we're there. We're proud to be Smiths. Proud of our history. 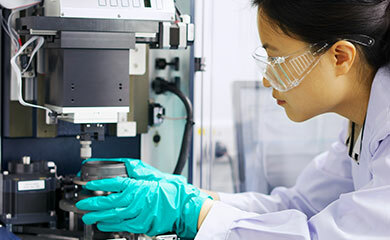 Proud of our commitment to innovation, our dedication to excellence in all we do, and the support we give each other. We do things The Smiths Way. That includes applying our values to everything we do. And never being afraid to challenge the status quo. Looking beyond the obvious. And always doing the right thing. Smiths innovates with the early development of car speedometers, fitting one to King Edward VII’s Mercedes. Smiths provide a speedometer, adapted as a sledge-meter, for Captain Scott’s epic expedition to the South Pole. Smiths develops aviation instruments for aircraft development accelerated by WWI, also supplying fuses, lighting and generators. Smiths innovates in time-keeping, introducing the first affordable electric clock for homes and offices. Smiths again supports the war effort, producing over 10 million aircraft instruments, 4 million clocks and 1.5 million speedometers and mileage counters. Smiths 100th anniversary is marked with the opening of its most advanced clock factory in Scotland, making up to 25,000 clocks a day. Smiths innovates by fitting the first ever automatic pilot to the de Havilland Comet, the world’s first commercial jet airliner. Smiths’ De Luxe watch is worn by Edmund Hillary as he completes the first successful ascent of Everest, resulting in Smiths famous “Everest” watch range. Smiths invents the first safe medical ultrasound device to produce clear images of human organs and unborn babies. Smiths innovative autopilot instruments complete the first ever successful landing without human control in zero visibility. Smiths innovates with the first ever heads-up displays (HUD), working with customer Saab to fit them to their Viggen aircraft. Smiths works with customer Boeing to provide auto-throttles for the 727 and 737 ranges, and engine indicators for the 747. Smiths provides the electrical load management system for the innovative new Boeing 777. 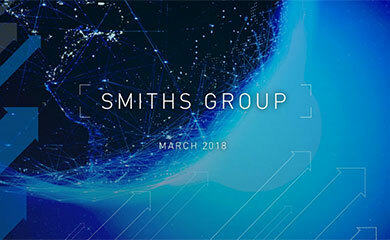 Smiths Industries changes the name of the business to Smiths Group plc. Smiths sells its aerospace division to GE for £2.6bn, some 90 years after Smiths started making aircraft instruments. We're guided by our Executive Committee and our Board, who together boast a wide spread of industry and international experience. Our business is managed day to day by our Executive Committee which includes the heads of each division and function. While our Board oversee the long-term direction and corporate governance of our business. We believe that doing business the right way is a responsibility, not a choice. And we demonstrate that commitment daily. Through an unflinching focus on safety, and on how we support and develop our colleagues. How we work closely with customers and suppliers, right up and down our supply chain. And how we minimise our environmental impacts and support the communities around us.